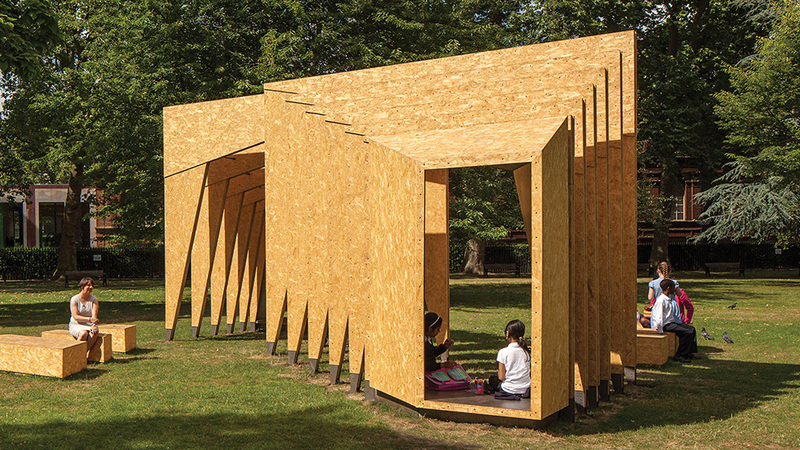 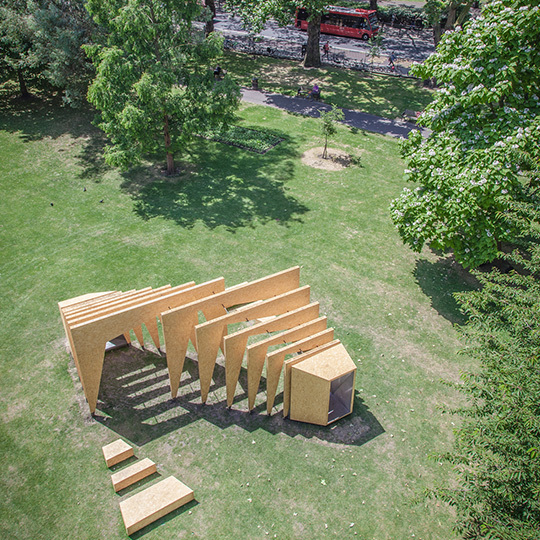 The brief was to design a structure for the Triumph Pavilion 2014 that provides an inspirational and interactive space for the general public within the unique setting of the Museum Gardens adjacent to the V&A Museum of Childhood, London. 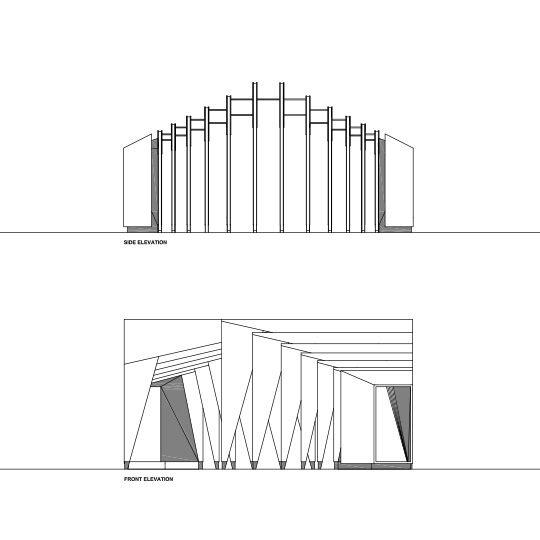 IPTA’s design was chosen from hundreds of proposals submitted to the annual international competition. 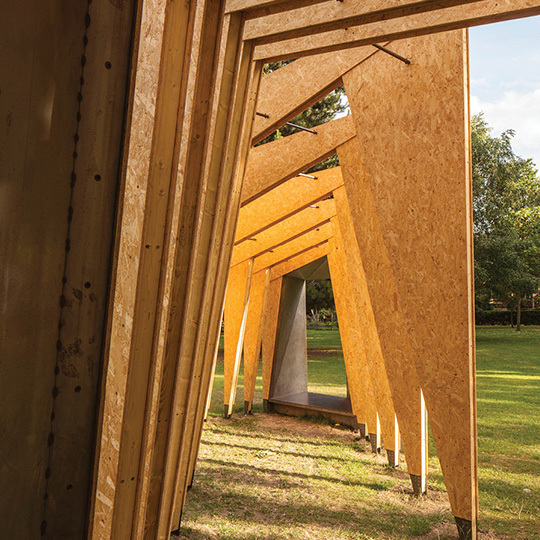 Our response to the brief was to create two human scale enclosures that gradually open out to the centre through a series of timber frames. 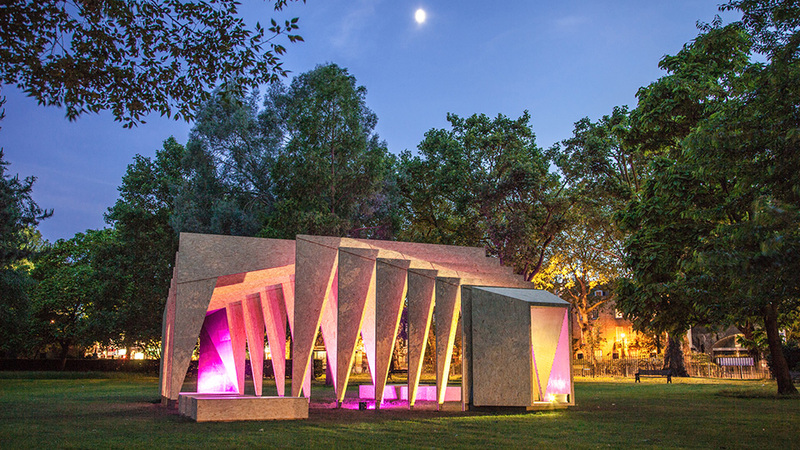 The structure creates a space of tranquillity, beauty and mysteriousness. 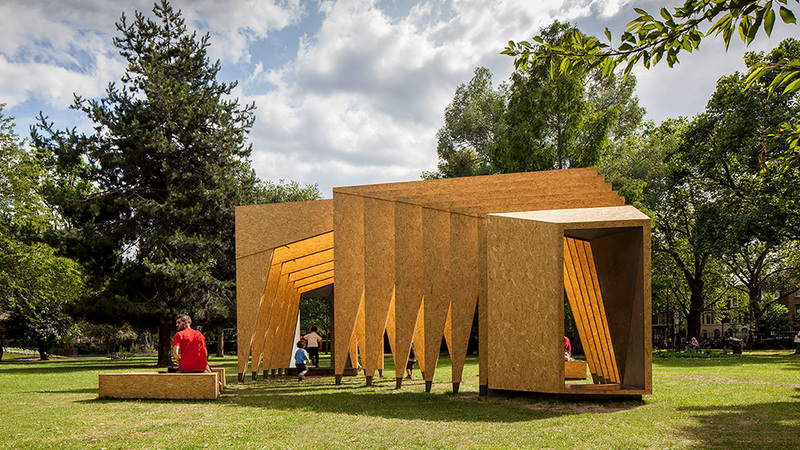 The perception of the pavilion constantly shifts from solidity to transparency depending on the vantage point. 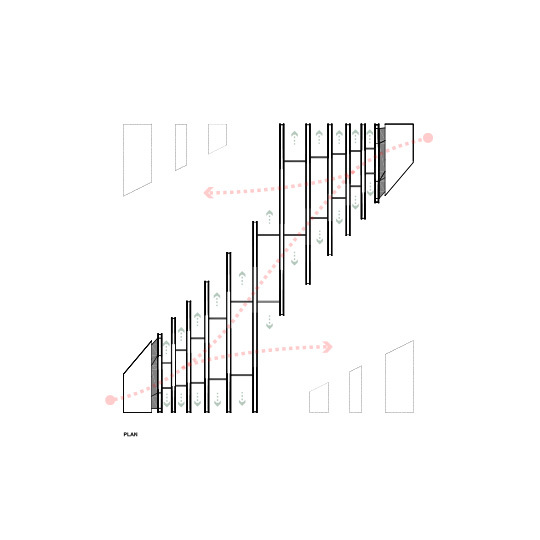 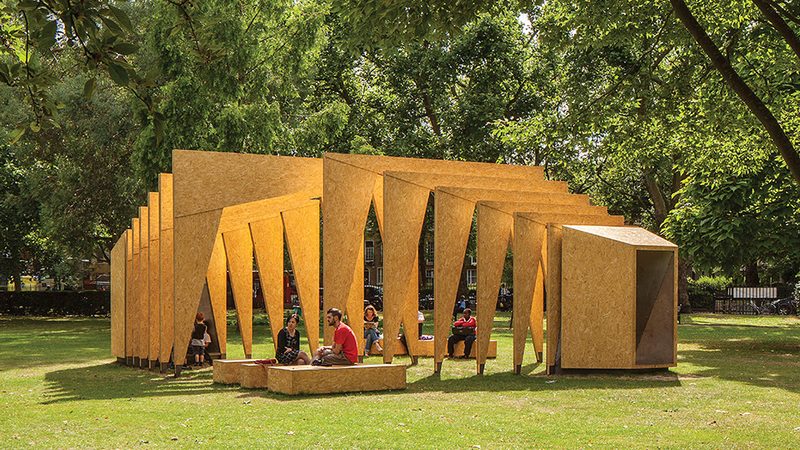 The materials and fabrication method are based upon simplicity and sustainability using diagonally cut orientated strand board panels to create structurally efficient frames with no material wastage. 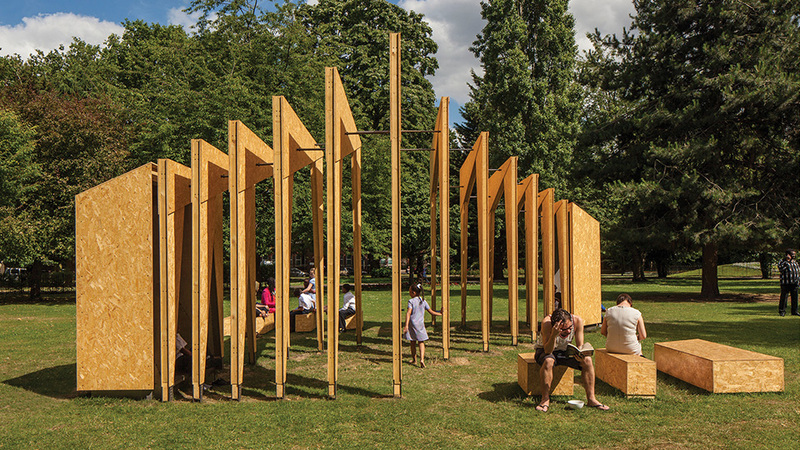 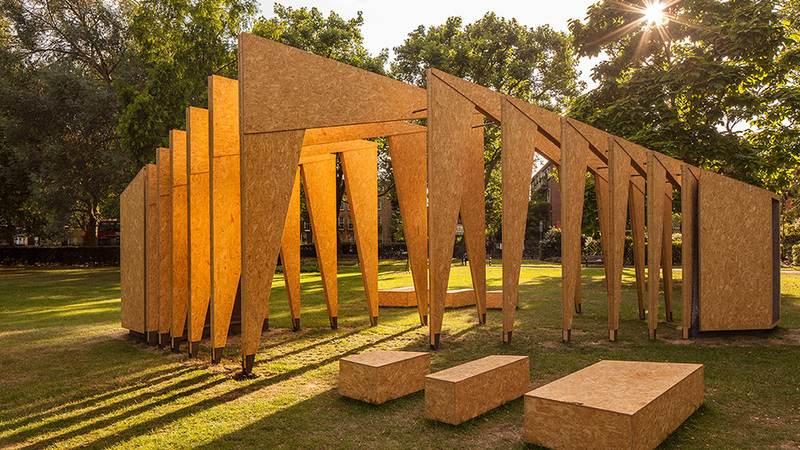 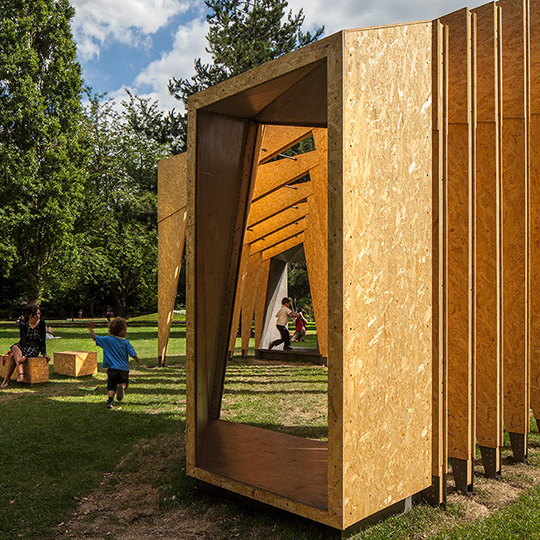 The Pavilion was launched on 5th June and it was also open to the public during the London Festival of Architecture in June 2014. 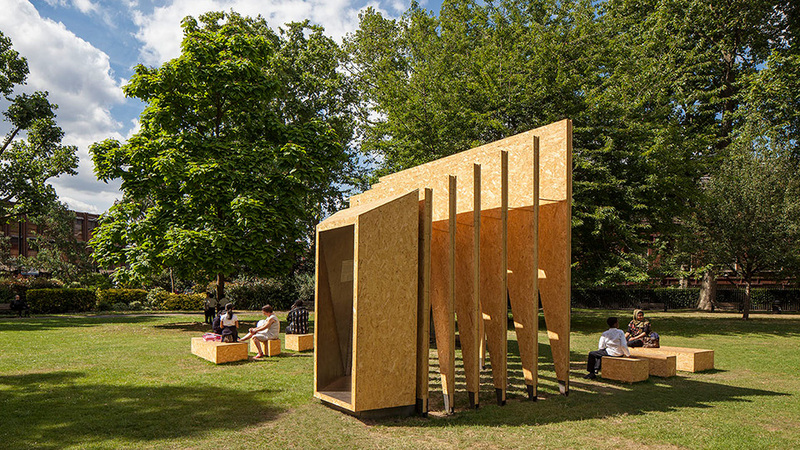 This simple and genuine, yet, sophisticated and elegant piece of architecture has truly achieved its purpose; a place for people to use and enjoy.